Spend your next vacation in your very own timeshare at Riviera Oaks Resort. With its close proximity to San Diego and Los Angeles, Riviera Oaks Resort offers a peaceful retreat from the everyday hustle and bustle while remaining close to the fun. By buying one of these Ramona timeshares for sale, you can make Riviera Oaks Resort your new vacation home and your next getaway is sure to be one you will never forget. Enjoy year-round sunshine and that famous West Coast climate while vacationing at your very own vacation ownership resale at Riviera Oaks Resort. The resort sits on the outskirts of Cuyamaca Rancho State Park, allowing ease of access to plenty of outdoor pursuits such as hiking, biking, and horseback riding, as well as swimming in the granite springs or boating on Lake Cuyamaca. San Diego is located only a short drive away, allowing for day trips to popular destination including Legoland, Sea World San Diego, and Knott’s Berry Farm. 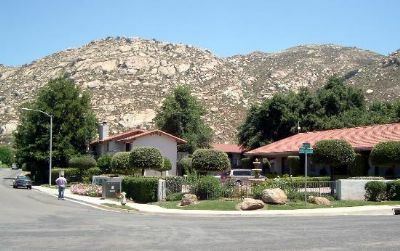 Buy a one or two-bedroom timeshare resale and save money while enjoying comfortable accommodations that will serve as your vacation home base while visiting Ramona. 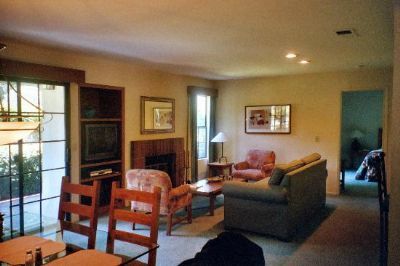 Each well-appointed unit includes a full kitchen with all of the essentials, separate dining area with breakfast bar, living area with fireplace, cable TV, barbecue grill, and furnished balcony or patio with beautiful views. 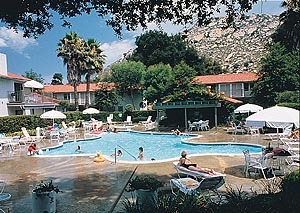 Riviera Oaks Resort offers on-site amenities of both convenience and recreation for your enjoyment. Enjoy days spent at the spacious outdoor swimming pool area complete with hot tub and sauna, playing tennis with new friends at one of several courts, or indulging in a luxuriously relaxing treatment at the full-service spa and salon. The resort also offers a well-equipped fitness center to help you stay in shape while on vacation, wireless internet access to keep you connected, and convenient self-service laundry facilities. Contact Riviera Oaks Resort Specialist Today!